Redemption Exclusively at BCLNA Retailer Members! 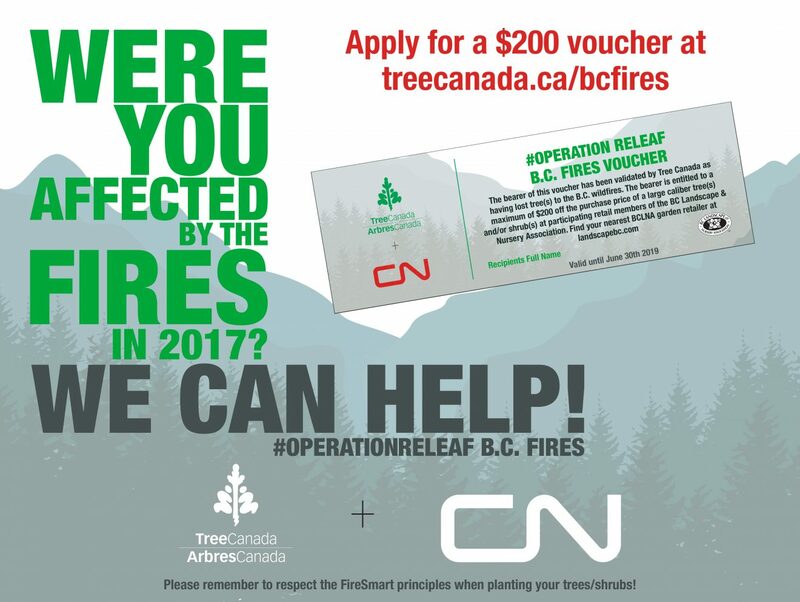 Tree Canada’s #OperationReLeaf program is helping homeowners replace trees lost in the 2017 wildfires. Grants of $200 are available for homeowners to plant large caliper tree(s) and/or shrub(s) which must be Fire Smart, non-invasive and non-vulnerable. Purchase must be made at participating BCLNA member retailers found on LandscapeBC.com. Garden Centres can find the process for voucher reimbursement here. For more information, visit the Tree Canada website.